"Willow and her team have provided endless support and are always looking for ways to improve our event." "Vida Events has been a great addition to our event committee! They bring a high level of professionalism, organization, and attention to detail that is crucial when planning our Annual Spring Gala. Willow and her team have provided endless support and are always looking for ways to improve our event. We appreciate all their hard work and dedication to our cause." "Their dedicated team brought innovative ideas to the design of EconoUs2017 that incorporated multiple venues, walking tours, the arts, zero waste and local food." "Vida Events was a valued partner in hosting EconoUs2017 in Calgary. Their dedicated team brought innovative ideas to the design of EconoUs2017 that incorporated multiple venues, walking tours, the arts, zero waste and local food. Vida Events went above and beyond to ensure a positive and welcoming experience for attendees. Their attention to detail and amazing ‘show-flow’ insured the local host-team made up of 1 national and 6 local hosts were able to showcase the best of Calgary’s local economy to a national audience of 395 community leaders!" "Vida Events brought their best to our event and it showed. We can't wait to get started on the next one with them!" "We just pulled off a very successful conference and Vida Events was with us the whole way. Both Willow and Amy were indispensable in the planning and execution of the event. We had high expectations and they worked closely with us to understand our vision and goals, guide our activities and make sure the important action items were completed. Full of sage advice and experience, Willow was instrumental in keeping us on track and on time. Amy was also very supportive and worked closely with a creative bunch of volunteers in a seamless and generous way. Vida Events brought their best to our event and it showed. We can't wait to get started on the next one with them!" "Willow’s professionalism, work ethic, and attention to detail really stood out at our event." "Thank you for all of your hard work with helping make our inaugural Solidarity SlugFest Softball Tournament a huge success! We are looking forward to future events based on the successes of the event. If anyone is looking to put together an event of this nature, I would highly recommend using Willow Carriere and Vida Events as a management agent. Willow’s professionalism, work ethic, and attention to detail really stood out at our event and we would have no problem seeking her services again in the future." "Willow excelled within our organization and become a key person during the conference." "CCVO decided to engage the services of an event planning agency to help organizing and running the Connections 2013 conference, and after thorough research, we hired Vida Events. In a short period of time, we realized that Willow is an excellent organizer, with an amazing attention to detail and superior skills, making her an extremely valuable team member. Willow excelled within our organization and become a key person during the conference. We were impressed with her knowledge, methods, and thoroughness when dealing with other staff members, volunteers, speakers, exhibitors and the staff working at the conference venue. Not only did she remain completely unruffled under pressure, she brought her contribution to creating an event of extraordinarily high quality. She made many creative, useful suggestions greatly improved our results. The conference was very successful, and everyone commented how well and smoothly was run, and how every detail was taken care of. This is especially impressive, as some comments came from high level professional speakers, who attend countless conferences and speaking engagement nationally and internationally." 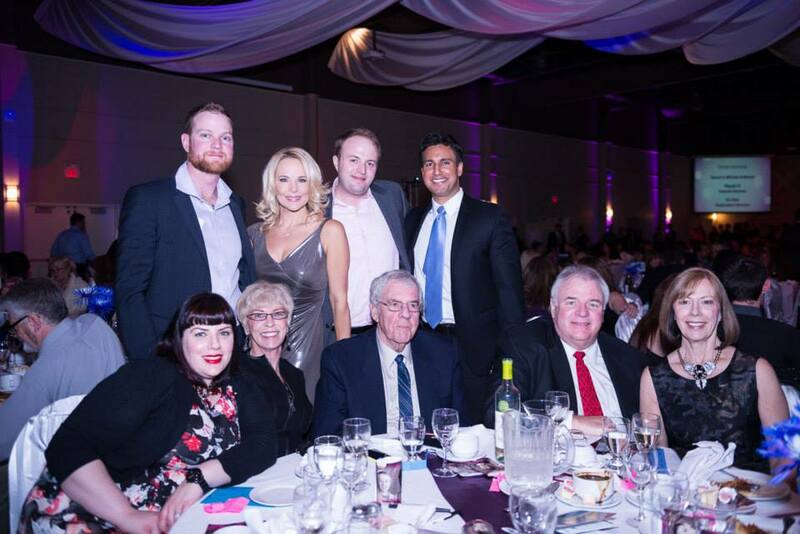 "Our event was one of the most successful charity events in Southern Alberta!" "Her professionalism, hard work and dedication are outstanding."